Marketing your club as an event venue might require a different strategy than one you would use on your main target market. In order to make the most of your club, you need to market it effectively to the right people. This means understanding your target market and building a successful venue-marketing plan. Expanding your marketing strategies to sell your club as an event venue will help to boost revenue for your club and attract more members. The following five tips will help you to adapt your marketing strategies to your new audience. Club owners will have several key target markets which require specific marketing processes and expertise. When it comes to marketing your club as an event venue, you need to focus on targeting members, guests, and venue hirers. In order for your club to be viewed as the place to stage an event, you need an effective marketing solution to target these specific groups. This may require additional research to better understand these new markets and what they look for in an event venue. Holding open days or public events can be a valuable external marketing strategy. Getting involved with the community through a charity or local organisation will not only improve your reputation, but it can also help you to make connections. Use open days as a way of letting potential hirers see the venue and its features. There is no better way of showing potential clients just what your venue has to offer than being able to see it in action. Make the most of this opportunity and use your club to its full potential. Sending tactical e-shots and newsletters is a great way to reach out and engage with your target audience. You can use this opportunity to tell them about your venue’s recent successes, including images of different events. This will help to showcase your club as the ideal venue for various types of events, such as weddings, birthdays, or company gatherings. Including information on your venue’s new features, services, and updates such as new club furniture will potentially attract the interest of potential hirers. This will help keep your venue in the public eye and strengthen your venue ‘brand’. Social media is becoming ever more important in the marketing world and should be included in your marketing strategy. It can be a very useful tool for your club if used correctly, and is an ideal way of engaging potential clients where they spend a lot of their time. Build a digital presence in which to market and promote your venue by using various social media sites. Images are particularly effective and tend to get a much better response than plain text. Make sure you take plenty of great photographs of your venue, including details such as club chairs and other club furniture, so that your customers can get a good idea of what your venue offers. While your website may have been initially built with a different target market in mind, you need to ensure that it is fully optimised for your new audience. Using strategic keywords and phrases that relate to events will make it easier for prospective clients to locate your website ahead of your competitors. Make the most of your website by including a specific section on events, including information on the different options available to prospective hirers. Include images of past events and reviews from hirers so clients will know just what they can expect. Positioning your club as a good venue for events can do wonders both for increasing or maintaining your club membership and for generating additional income for your club. 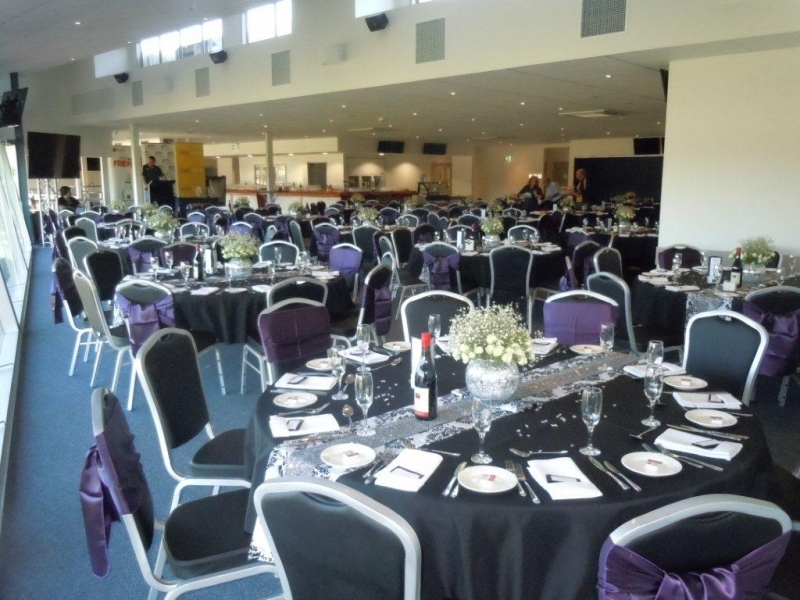 A solid reputation as an events venue will increase your club’s presence in the local community and extend your reach even to those who are non-members of your club.